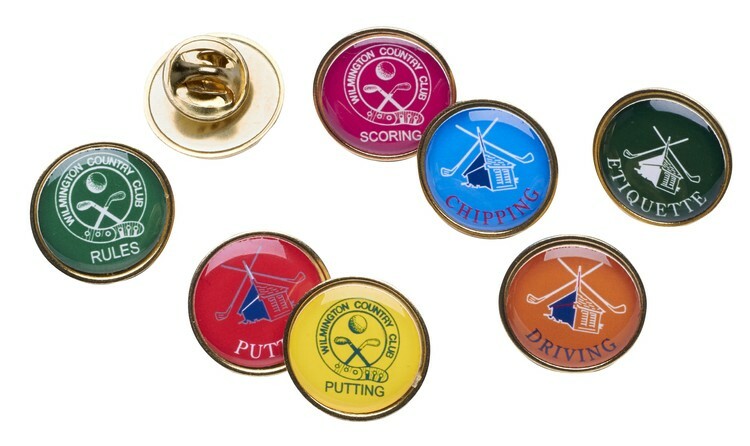 Our solid brass lapel or hat pin for junior golf programs, sports your full color logo with the different disciplines the students are required to master. Great motivational or gift award. Standard military clutch and anti-rotation spur. Available in a brass finish only.